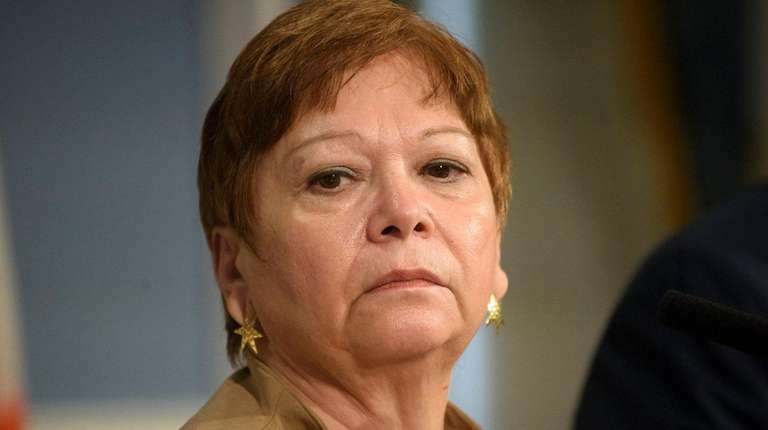 Administration for Children’s Services Commissioner Gladys Carrión resigned on Monday, according to the mayor’s office, following a pair of recent controversial deaths related to child abuse. De Blasio said in a statement Monday that he accepted her resignation. “Gladys has spent four decades serving the public with excellence and an unparalleled commitment to the children and families of New York,” de Blasio said. “Gladys’ leadership and reforms have ushered in a heightened level of accountability and performance at the Administration for Children’s Services. “That progress must continue as we work to meet one of the most difficult missions and mandates in city government,” he added. Carrión’s decision comes on the heels of two high-profile deaths. Last month, 3-year-old Jaden Jordan was found beaten in his Brooklyn home, suffering from a fractured skull and lacerations to his spleen and liver. He died about a week later. ACS received an anonymous tip about Jordan’s mother’s boyfriend — Salvatore Lucchesse, 24, who was charged with his assault — the weekend before, but when case workers went to investigate, they learned they had the wrong address. The agency said it did not receive the correct address until several days later. In September, ACS again came under fire when 6-year-old Zymere Perkins died after being brought to the hospital with bruises and a head injury. Perkins’ mother and her boyfriend were charged in his death. The agency had reportedly received several complaints related to the abuse against Perkins but no action was taken. Comptroller Scott Stringer, whose office opened an investigation of ACS procedures following Perkins’ death, called Carrión a “dedicated public servant” on Monday, but said the city was “failing out most vulnerable children. Public Advocate Letitia James has called for several reforms of ACS, and on Monday reiterated that push. In May, the Department of Investigation issued a report highlighting “ACS’s investigatory and foster care oversight failures” and late last month, Commissioner Mark G. Peters said in a statement he requested access to ACS records involving Jordan.